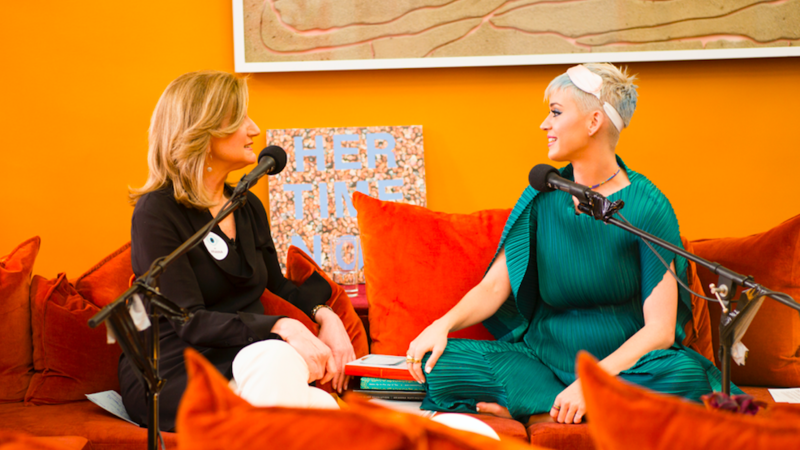 For a special live episode of The Thrive Global Podcast, Thrive Global founder and CEO Arianna Huffington sat down with music icon Katy Perry as part of the singer’s “Witness World Wide” livestream promoting the release of her latest album Witness. Perry told Huffington what it took for her to learn the power of taking breaks. Perry said she hit the reset button and took six months to recharge. Perry said following her June “Witness World Wide” livestream, she was going to reconnect with herself and take some time off — and away from her phone. “I’m giving out a lot and I’m able to connect with others but it’ll be a time where I’ll just need to go back into my little cave and just connect with myself, so that I can be there and be the best version of myself,” Perry said. And how does she do that? By disconnecting from technology. To listen to the Thrive Global Podcast with iHeartRadio, click here.